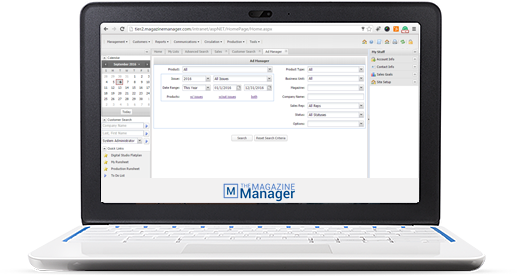 The Magazine Manager’s ad order entry system connects every step of the media buy. 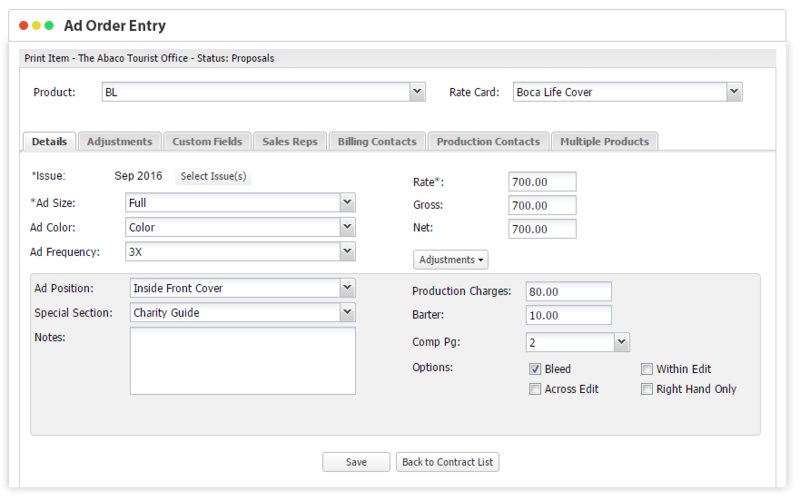 Proposal templates are easy to create and convert into contracts, insertion orders and invoices. Nearly any type of media buy can be accurately managed including email newsletters, website ads, scheduled events and bulk media buys. From complex digital buys to bundled media packages, The Magazine Manager’s ad order entry system helps simplify the print advertising life cycle. Each ad order can be custom-tailored to accommodate multiple contacts, itemized production charges and specific pick-up instructions. Media buys can also be edited for last minute changes, including ad size, positioning and frequency adjustments. 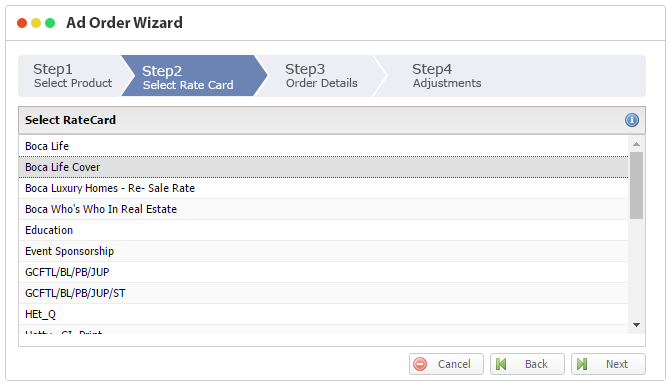 The Magazine Manager’s Ad Order Wizard allows users to quickly select the rate card and customize it as needed. Ad sizes and positioning can also be updated in real time as inventory changes.